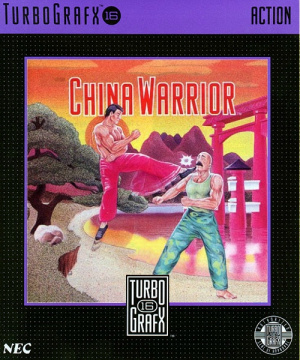 China Warrior is a side-scrolling action game that was released around the same time as the TurboGrafx16 in Japan. 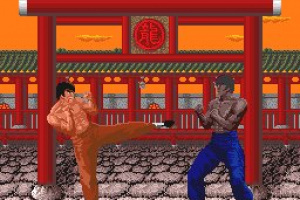 When the PC Engine was first released in Japan, China Warrior (or 'The Kung Fu' as it was known in the Land of the Rising Sun) was put forward as a showcase for its graphical prowess. 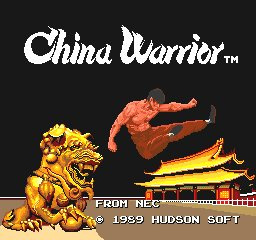 Technically the first game on the system (it was released as 'Hudsonsoft Volume 1' in Japan), it sent..
China Warrior is a side-scrolling action game that was released around the same time as the TurboGrafx16 in Japan. 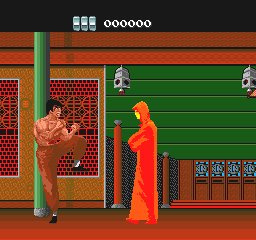 It's up to the kung fu master Wang to defeat the Dark Emperor, who stands atop the kung fu world in China. 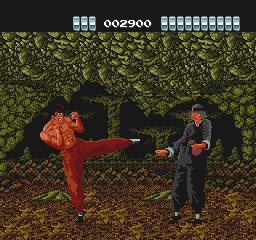 Punch, kick and jump-kick enemies along the path that lies between you and the three bosses of each stage. Skillfully fight your way through all four stages, and be sure not to miss recovery items while dodging enemy attacks. 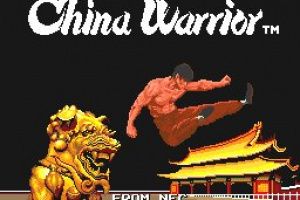 China Warrior boasts character size and detail that rivaled all other games at the time of its release. 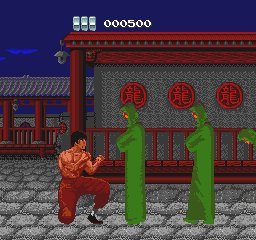 Exciting one-on-one fights against the game's realistic bosses will make you feel like you're in the middle of a kung fu movie. Grand China shall rule all! This looks pants! 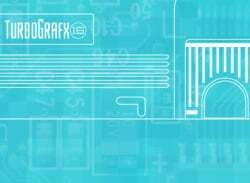 Does IK come on PC-E? 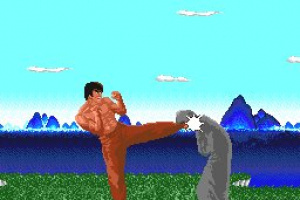 IK+ never came out on the PC Engine, I'm afraid. 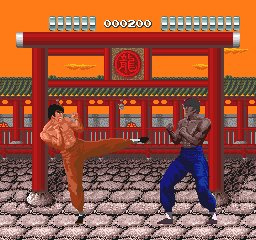 Had this on the PC-Engine and it fills me with youthful bliss, but I don't plan in crushing my nostalgia by getting this again....some games are better in your memories. 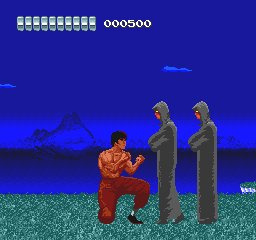 does anyone know if theyre planning on releasing the 8-bit version of Fist Of The North Star? 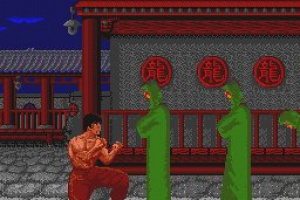 I remember playing it in Japan years ago and thought it was brill. Looks like the USA will be getting this one the 25th... can't say I'll get it though. I may be an "old man", but I'm more interested in Pokemon Battle Revolution than nostalgia. Yes, I gave this game a 4/5. No, that's not a mistake. I like the game a lot. As said, the graphics are amazing for it's time. 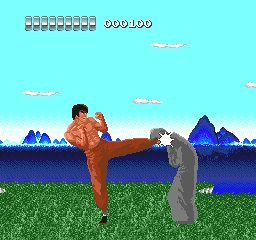 The game's got a catchy main theme song and I like the gameplay - It's basically one long gauntlet in which you try to avoid getting hit. It's not meant to be seen as a beat 'm up at all. The bosses provide a nice variety, as each of them requires a different strategy to beat and you've got to experiment. 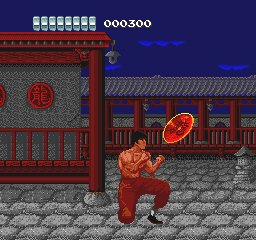 The inclusion of hidden powerups gained by destroying various obstacles you wouldn't normally think of trying to destroy is also a nice bonus. I am glad somebody likes this because like Damo I think this is a pile of old tosh. The music is pretty cool and for it's time the graphics were amazing but the gameplay stinks! 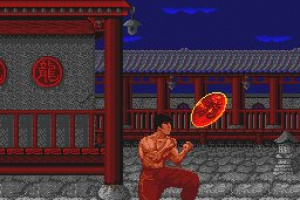 Maybe I missed some hidden genius in this game I just couldn't get past how sluggish the way the character operates. 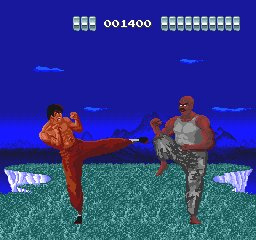 There are very few moves and the gameplay is very limited with bad guys appearing to slide on to the screen followed by some flying debris, and then repeated over and over again! There really doesn't appear to be a great deal of variety. After 20 minutes of play I was utterly fed up of this. Sorry, it just didn't work for me! Its pretty bad but not the worst game ever. 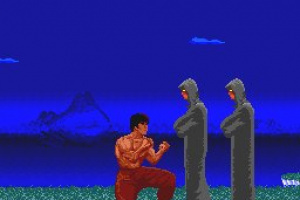 Haha... looks like flies are a bigger problem than the cloaked dudes in the video. 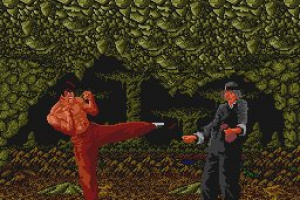 The character control is no worse than Splatterhouse which received a 4/5 from this website. you can't deny the similarities between the games. Has every one who reviewed this game played it (judging by some of your comments I don’t not think so). Yeah, clearly Drake played a different, much better game! 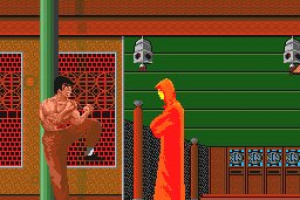 Looks repetitive but kicking satanic monks in the stomach looks fun. Few games existed when the Turbo came out, and my friend bought this for lack of options. ... and because the screen shots looked amazing. But even in 1989, it took but a few moments to know he'd made a big mistake. This one is worth a look mainly because it's bad, but I wouldn't urge you to spend $6 on it. 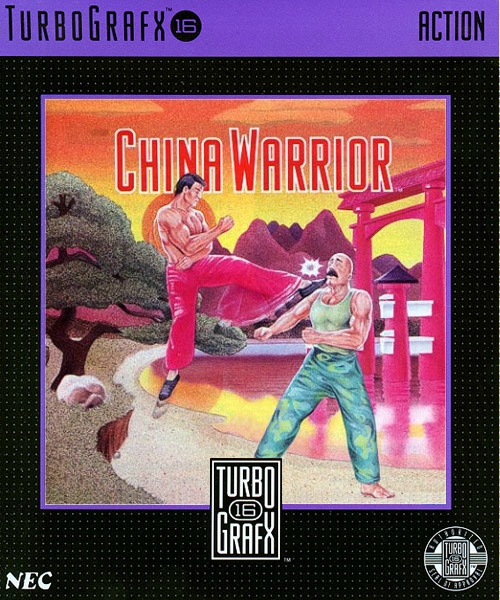 China Warrior Sucked back in 1989 when it was released. So it just is not worth downloading in 2010. It sucked then and it doesn't even have any quailties that make it worth it now. 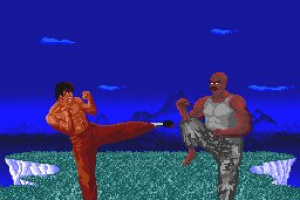 I used to play this game using a invincibility code. I never felt the game was that bad. I actually found the game to be fun when cheating my way through.